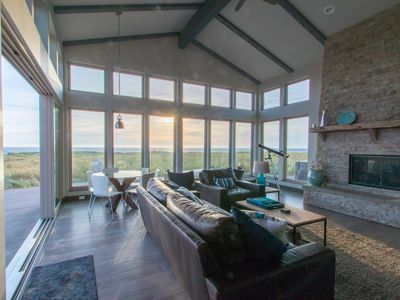 Bring the kids and the dog to this wonderful beach home! 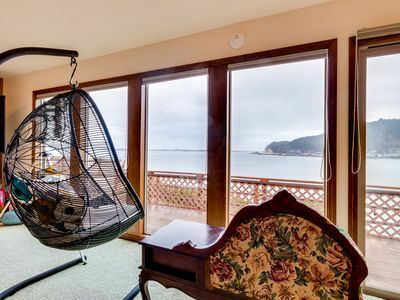 It's a perfect getaway when you want to be close to the beach, bike trails and Nehalem Bay State Park. 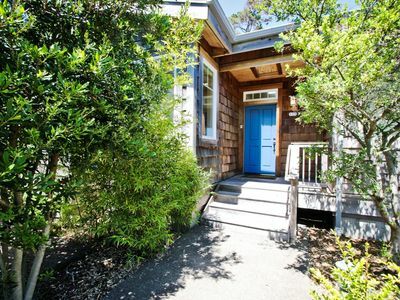 This home is located on the south side of Manzanita just 100 feet from the beach. 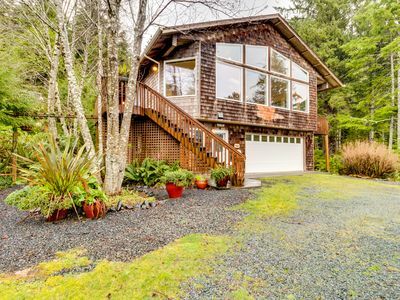 Views of the ocean, state park and Neahkahnie Mountain can be seen from all around this spacious, nicely furnished, 1,850 sq ft home. 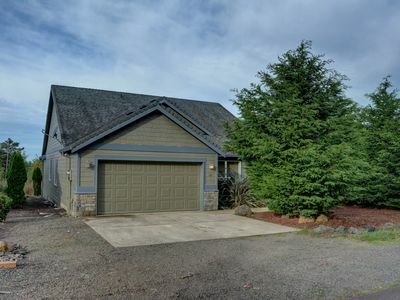 This spacious home has a reverse floor plan with two large bedrooms and a full bath on the main floor. One bedroom has a comfortable queen bed and the second bedroom has two sets of bunk beds. 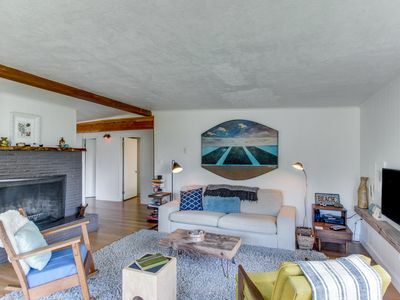 An open stair case, filled with natural light, invites you up to the second floor where you will find an open floor plan that includes a large living room with lots of comfortable leather sofas, a well-stocked kitchen, dining room and another bathroom. 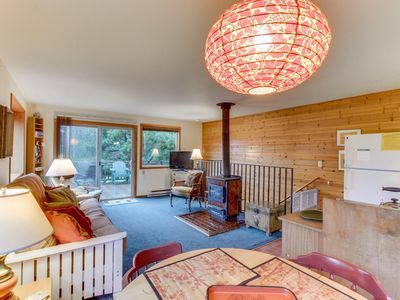 There are windows surrounding the second floor with great views, a 50" flat screen TV, and a wood burning fireplace. 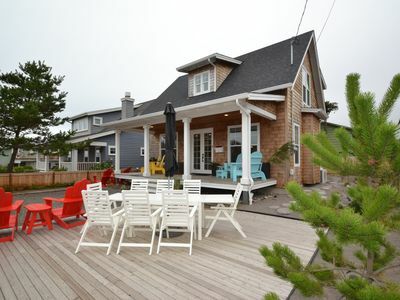 This home also has two decks, one off the front of the house and one off the back. 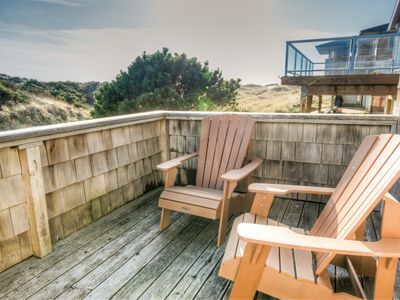 The front deck has views of the ocean, beach and trees of Nehalem Bay State Park. 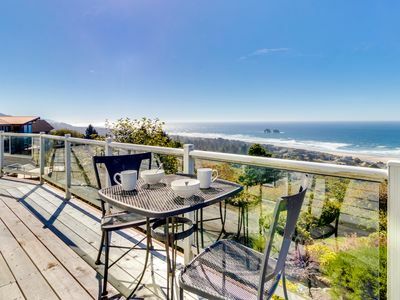 The large back deck has views of Neahkahnie Mountain and the beautiful seven-mile stretch of beach of Manzanita beach. Moving up to the third level guests will find two bedrooms with queen beds and a large bathroom with tub and shower. There are fantastic views from this third level as well. 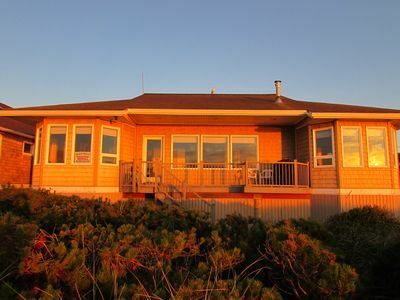 This home can accommodate up to ten people and offers a warm, bright, spacious, well-appointed vacation getaway for families or a group of friends. Accepts up to two dogs which must be at least two years of age and flea treated. No cats allowed. Large, sunny duplex with ocean views & nearby beach access - dogs ok! 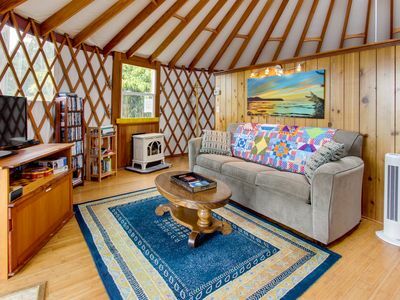 Tranquil beach house w/ ocean view, private hot tub & stylish decor - dogs ok! 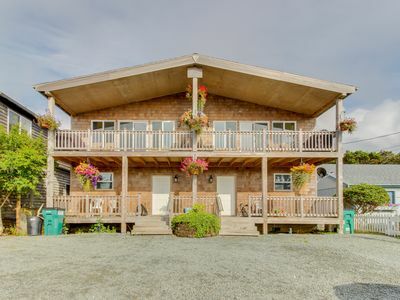 Ocean view from beach home with jetted tub, multiple decks! SOLITUDE HOUSE~MCA 521~Love to golf? This house is perfectly located for you. 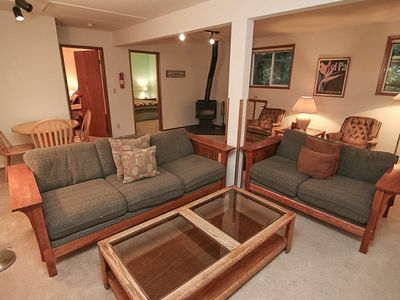 VALENTINE'S HOUSE ~ MCA 525 ~ Elegant duplex just a block to the beach. 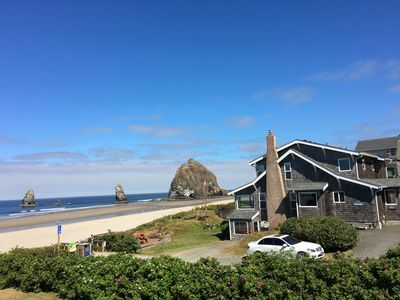 Ocean Front Home in Cannon Beach, Oregon. 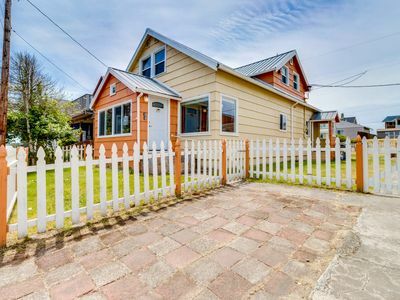 The perfectly priced home for your families next getaway to Rockaway Beach! 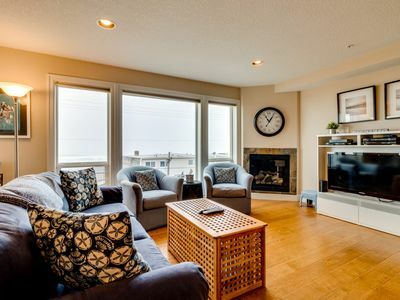 Welcoming dog-friendly condo near beach, parks, and Lake Lytle! 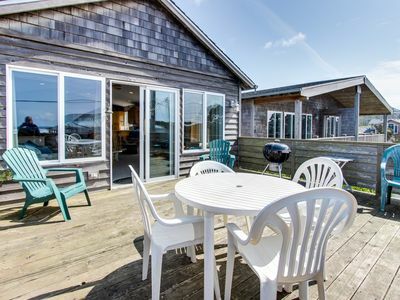 Bayview home w/ a deck overlooking the locally famous Ghost Hole fishing spot! 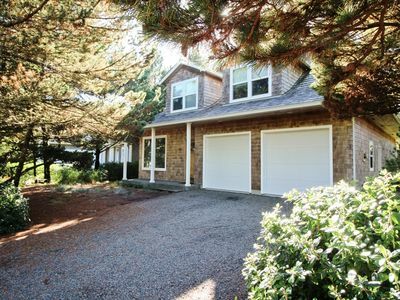 Secluded home w/ great views plus access to the beach and hiking trails! 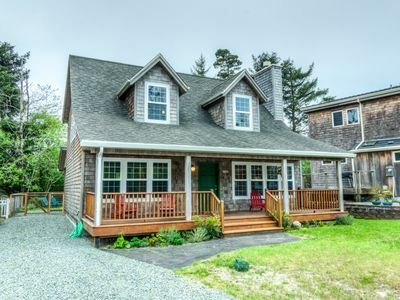 Bright Cottage Close to Town and Steps to the Beach has Wrap-Around Deck!